Mission: Tomorrow » The Space Review: Could commercial space help define and delimitate the boundaries of outer space? Could commercial space help define and delimitate the boundaries of outer space? Of the many legal and technical issues surrounding outer space activities, perhaps none is more elusive than defining where outer space begins or, more specifically, the delimitation of where atmospheric flight ends and the lower end of outer space and spaceflight begins. This issue, aside from being a legal issue, is also a political and national security issue that implicates the sovereign rights of nations. 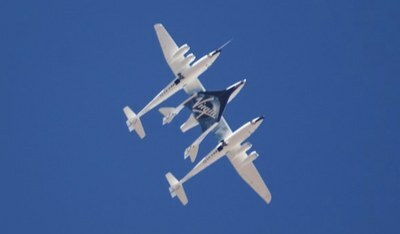 While the debate over the delimitation of outer space is still unresolved, the advent of commercial spaceflight, in particular suborbital flights, may help to clarify the ambiguity and lead to a definition of the delineation of the lower limits of outer space and airspace, if not in law then in practice. To understand the issue it is helpful to be familiar with some of the origins of the issues, in particular with the United States, as well as its present status within the scope of national sovereignty and security. Read more: The Space Review: Could commercial space help define and delimitate the boundaries of outer space?.